Download our free website workbook | Flair Interactive Services Inc.
Use our free workbook and questionnaire for your ideas, requirements and plans. Start planning your web site today using this helpful workbook and questionnaire. Our comphrehensive workbook includes information about best practices and factors that you need to consider when planning a site, and it also includes an easy questionnaire about your business and your site. 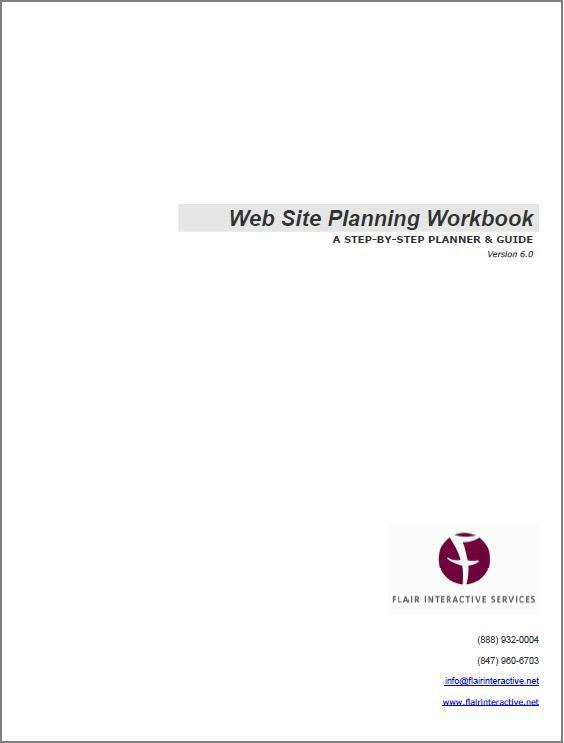 Best of all, our Web Site Planning Workbook is free! When completed, it will allow you to determine which of our small business Web site packages is right for you--or it will help us create a custom estimate for you. Complete the form on the right and we'll send you your FREE Web Site Planning Workbook so you can start planning right away. Copyright 2013 Flair Interactive Services Inc. All rights reserved.